Allenhurst is one of the Jersey Shore’s most desirable exclusive locations. As you can see with the Real Estate Report below, there were only 5 homes sold last year from June to December. Currently, there are only 3 homes for sale in Allenhurst ranging from $1,479,000 to $1,800,000. If you want to live in this highly desirable Shore town just steps from the beach, make your move when a house comes on the market. The following homes have closed from JUNE to DECEMBER 2016 in Allenhurst. The data reflects the property address, style of home, number of bedrooms and baths, listed price, sold price and days on the market. For more information about successfully marketing your home, contact Louis A. Dell’Omo at 732.299.1696. For a customized Real Estate Report for your town, call the offices of A.J. 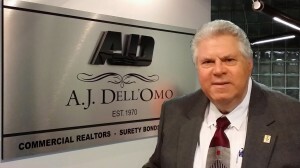 Dell’Omo, inc., Realtors 732.263.5000 and ask for Louis.